Congratulations to Mrs. Williams, Mrs. Norman, and Mrs. Halbhuber. 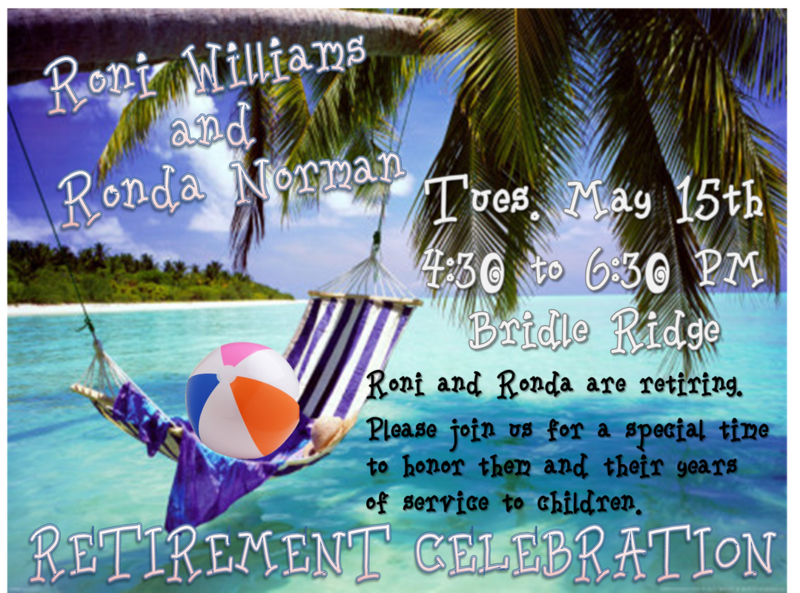 We actually shared the retirement celebration at Bridle Ridge because 2 of our teachers were in both buildings. Mrs. Halbhuber taught exclusively at Bridle Ridge, but many of us taught with her before Bridle Ridge existed and we were Shull Sixth Grade Center. Thanks you ladies for everything you did for our students. You will be missed.